ICTFC’s Mark Ridgers, Cammy Mackay, Kevin McHattie and Anthony McDonald paid a visit to Cantraybridge College by Croy to help the pupils open their new football pitch. 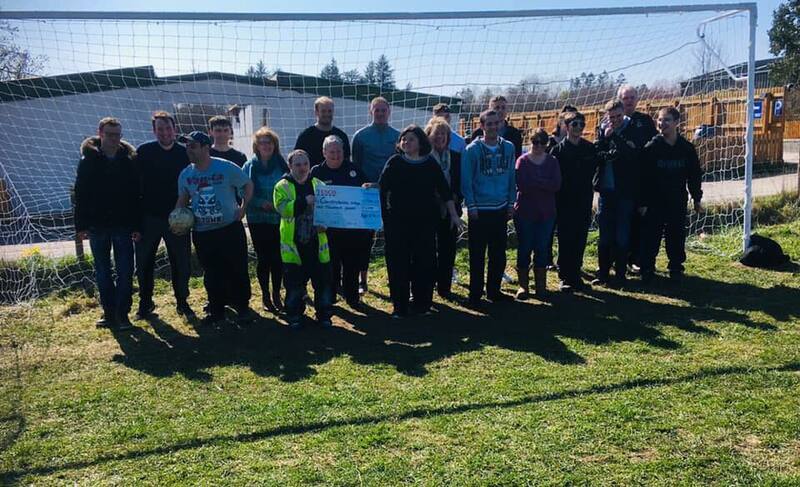 The goalposts and nets were supplied by Tesco’s and Tesco’s Community officer Shona Patience, who is a big supporter of football in the Highlands was on hand to see the equipment put to use. The players were also given a mini tour of the Cantraybridge complex and were impressed with the range of skills and services that the pupils are taught.